Star Cast: Ajay Devgn, Sonakshi Sinha, Sanjay Dutt, Mukul Dev, Juhi Chawla, Salman Khan (guest appearance). What’s Good: Some humour; the action scenes. What’s Bad: The dearth of comedy; the stretched story. Son Of Sardaar opens with Ajay Devgan’s bone-crunching fight scene in a club. In a guest appearance in the film, Salman Khan packs a few punches for his sardar friend and warns the goons, “Pathan ke yaar ke saath panga mat lena.” There’s a certain smugness in this whole sequence that pervades the entire movie and proves Sallu bhai really wrong. NRI Jassi (Ajay Devgn) gets a courier from India after the above mentioned fight stating that the government wants to buy his land, which he had inherited from his late father. Now Jassi’s Randhawa clan lost most of its male members in bloody fights with the rival Sandhu family. After the death of Jassi’s father, his mother had taken him and fled the country. Back home, the last fallen Sandhu has not been forgotten. His brother Billu (Sanjay Dutt) abandoned his sweetheart Pammi (Juhi Chawla) at their wedding, vowing to marry only when he has finished off the last Randhawa. Likewise, Billu’s fatherless nephews Titu (Vindu Dara Singh) and Tony (Mukul Dev) have sworn to stay off ice-cream and cold drinks. Presuming that the anger must have cooled off in 25 years, Jassi returns to India where he falls for the sprightly Sukh (Sonakshi Sinha). A couple of coincidences later, Jassi finds himself as a guest in the Sandhu household. Then why isn’t Jassi roast meat yet? By custom, the Sandhus treat their guest as gods and no harm must befall them while they are in the house. Another catch: Sukh is Billu’s niece. So how does this good natured sardar come out of this jam? By now you probably know that Son Of Sardaar is a remake of S. S. Rajamouli’s Maryada Ramanna (which is a remake of a silent Hollywood film). The film has the germ of an entertainer but doesn’t ever get there. There are parts of the film that are funny but there should have been more than just those perfunctory laughs to salvage this one. The writers also seem fine with the fact that a 15 second bland speech at the end should assuage viewers about the ending of a three decade long rivalry. The twist in Sukh-Jassi’s love story is some more reel time gone to waste. Ajay Devgn tries his best to play the lovable, bumbling sardar and it doesn’t work all the time. Sonakshi Sinha does well as the sardarni. Sanjay Dutt is very good as Billu; it’s much fun to watch him wring his hands in frustration as he waits for Ajay Devgn to step out of the house. Though it’s probably Mukul Dev’s repeated innings as the thug Punjabi, he’s quite a treat to watch him in his form. Juhi Chawla is lovely even as she pines for Billu. Ashwani Dhar’s direction is good. While you get the feeling that he’s trying to make a northern version of Rajnikanth, the feeling doesn’t last long. The action scenes are well done and over-the-top with water tanks bursting, horse chase scenes and crumbling concrete everywhere. Himesh Reshammiya’s music is catchy. Aseem Bajaj’s cinematography is nice. Dharmendra Sharma’s editing is just alright. Ajay Devgn does his best to be the endearing sardar in this masala flick. Go for the laughs and over-the-top action scenes, though it can get repetitive and tedious. 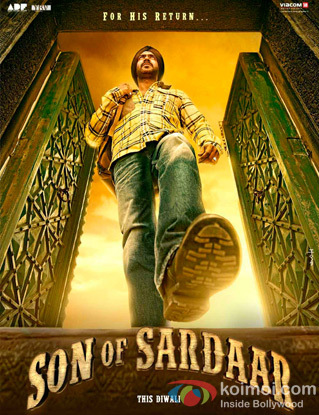 Son Of Sardaar released on 13th November, 2012. Share with us your experience of watching Son Of Sardaar. Whats wrong with this Roshni devi..Whenever she rated Low to any Movie that movie turned out to be a Hit.She rated movie like 1920-Evil returns only two stars..Have you gone mad ? Saw Son of sardar today, its fantastic movie to watch along with friends. u always do partialty with NON-SRK …..
its a very good.must watch. boring just tipory type of movie……tottally bakwass ..
What a bad movie. Reminded me of Joker. Skipped the srk flick as not asrfan but now how I wish I had seen JTHJ instead afterreading the good reviews. Over all went due to Singham but last word. Don’t spoil ur diwali watching this movie. Fantastic movie. You’ll have tears laughing go for it. Faltu movie…don’t waste your time and money on this…. more interested in JTHJ, but will watch this too. bakwwwaaaaaaaaasssssssssssssssssssssss movie…….sorry yaar diwali bekaar…dekhkar son of sardar…..
Not so intesting movie yaar…movie is total remake ntng nw in it ! JTHJ look gud thn it …. So deside to go for jthj…. First half is averg bt 2nd haf iz boaring .. So slow story ..nt so funny !! SOS was nice but some cheesy lines n cheap jokes r der … so its full tym pass n in dis diwali if u r going alone for movie den watch SOS otherwise JTHJ……. 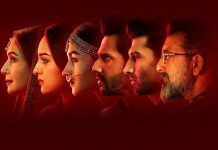 Aaj kal filme sirf box office ke lia baneye jati,,,,,,,,paise kamao,,,…….kuch naya karne ki kosis koi karta hi nahi..???? ?kuch din bad south me hamse acchi filme banegi,,,,,,,,,?! if it was not competion for both movies, they both had excellent collection on 1st day! For me i’ll see sos with my family because i’ll like to watch action comedy then romantic movie with my family. I think that is the best choice with family to watch. Afterall who want to watch romantic movie when we have sos, which can make everyone laugh! So happy diwali with a great fun and action near your theatres! Sorry Yaar Bakwaaaaaaaaaaaaaasss Movie ! Diwaali Bekaaar !!!!!!!!!!!!! Its a super duper hit movie really dont miss it if you wanna pleased. Watched both the movies. SOS is high on entertainment factor and was appealing to masses as claps, screems and whisles were heard every now and then. it delivers waht it promised and the critic ratings will be what a masala flick gets. ie average, but no one can deny the laughs and hilarious moments in the film. JTHJ a nice movie with good performances and some touching moments. it lacks entertainment and speed. Though not what we expected from YRC and SRK, it is still a nice experience, specially for people with Romantic flavor. SOS fantastic movie & super movie for ajay devgan. SoS ke show housefull aur srk dabbagul…..
Sangram.na tere pe akal hai na sakal.srk ka koi sprt ni krta.bcz he is bad man.kutta hai. action is the worst part of the movie. may be u havent seen the movie and still u r writing comment to fool the readers. dude, i have wasted my money. i know wats the truth. bahut bura lag raha he rs.330 waste karke.ek toh ticket price bada diye he ssale ne.believe me guys, audiences were leaving the theatre in interval. but i bear the whole irriatating movie jst becoz i invested my 330.nothing else. guys pls dont go for sos. its irritating.i m a sallu fan, but pls save ur movie for D2. its really a crap movie.sirf po po song ke liye mat jao yar. m very disappointed.ab se me ajay ki koi bhi movie nahi dekhunga. Bakwasss film hai,,,,,,jthj is lovely,,,,,,,,Sos jaisi filme saal me 10 baar aati hai………..,,,,,,Jthj 10 saal me ek baar,,,,,..
ftw? sala trailor to aisa nikala jaise bht mast movie hoga. sara paisa dub gya. usse acha jthj dekh lete km se km uske reviews to ache hai. srk ko film krna chodna cyahia. agr film krnahiho to unko salman ke per roj per pkdne cyahia. bakwaas,,,ghatiya, 2 kaudi ki movie hai yaar,,, maine jo isse dekh k galti ki hai wo galti aap bhi karna chahenge??? Son Of Sardar is Bakwaas, Faltu Movie…Waste of Money and Time. Jab Tak Hai Jaan the Best Movie. Worth watching two to three times. Chalo pic dekh liye ho ab apna duty karo…gun gana bandh karo..
its really cartoon type movie … its very boring and bakvas movie.. i feel that i ll not again going to this type of movie..
SOS is a good movie (not very good) but I didn’t liked JTHJ at all. if i give a mark then it will be a wast of mark..SO Pathetic movie. 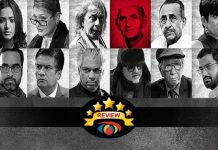 bakwas movie of the year…………….. Very Nice movie and comedy …………………. This simply shows star power and nthng else. 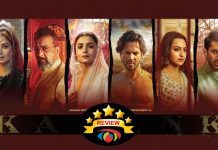 These kind of movies which get a hit tag are just insult and humiliation for movies like gangs of wasseypur,chhitagong and many more who gets vanished away due to lack of star face. DUNIYA JO MARZI KAHE FILM AAATT C CHAK DE FATE.MAIN SARDAR TU SARDAR BAKI SAB BIKAR. SUPER DOUPER HIT MOVIE VA KAUN SALA KEHANDA KI FILM VADIA NAHI. Ajaydevgan bhai best actar.unki super hitt(GARAM)filem son of sardar hit ho gaai. Very nice and funny very very nic song rani tu raja. rukh ki filme aur acting dono best hai. YOUR FILM IS BEST . I’m very happy bcoz despite of fewer screen,it has croosed 100rs.i think,it’s just warning to srk.bugdet of sos-30 crore,jthj-50 and earned respectively 103 crore&109 crore. This is a flop story but action is good. बड़ी बाजी खेलने के लिए कलेजा भी बड़ा होना चाहिए. ऐसा ही कुछ ऐक्टर-प्रोड्यूसर अजय देवगन के बारे में भी कह सकते हैं. तभी तो उन्होंने दीवाली के मौके पर अपनी फिल्म सन ऑफ सरदार को यश चोपड़ा के निर्देशन वाली आखिरी फिल्म जब तक है जान की टक्कर में उतारा. बतौर प्रोड्यूसर अजय पर कई दबाव थे. नफा-नुकसान की बातें हो रही थीं. लेकिन अजय ने कदम पीछे नहीं हटाए. Super hit filem hai. Kui ki ajay bhai takar me jeet gaai. Bakwas Movie….ewe de ni hunde sardaar jiwe es ch dikhaya a…. son of sardaar one my best seen movies. i saw it 3 times.if you didn’t saw it you can see it. nice one.